Longtime Sabres beat writer Bill Hoppe of BuffaloHockeyBeat.com, will be writing about Sabres prospects, the Rochester Americans and related topics this season. 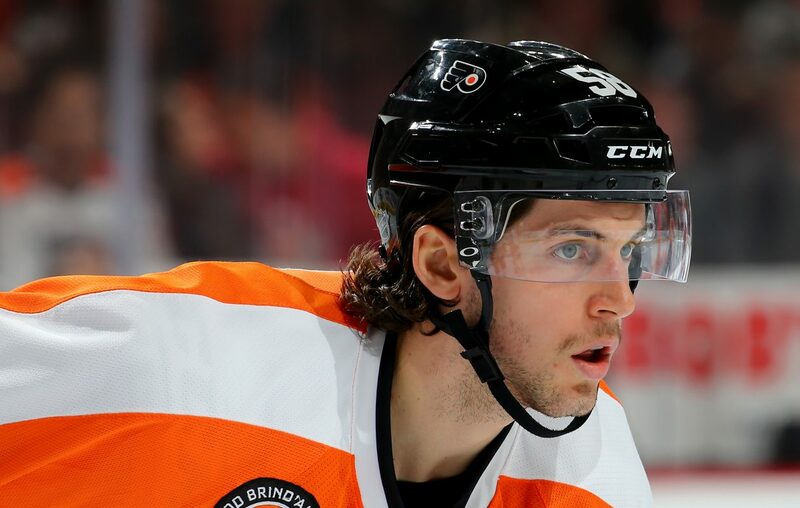 ROCHESTER – After spending his entire career in the Philadelphia Flyers organization, Taylor Leier has quickly acclimated to the Americans and his new surroundings. On the ice, Leier has scored nine goals and 16 points in his first 24 games since arriving in a Jan. 17 trade that sent Justin Bailey to the Flyers organization. Off the ice, Leier, a self-proclaimed “foodie,” has found some local restaurants he enjoys. He also frequents Wegmans, a grocery store he discovered in Pennsylvania. “I was real happy when I saw that was here,” Leier said recently. Rochester also offers Leier, 25, an opportunity to pursue one of his passions, fishing. “I’m like a fishing fanatic,” Leier said. Leier said he has gone ice fishing with Amerks teammate Dalton Smith six or seven times on Irondequoit Bay. “As soon as the ice froze over, I got out there,” Leier said. Smith owns a portable hut they secure by pounding pegs in the ice. They also bring along a heater and some chairs. “Next thing you know, nice and cozy,” Leier said. In Rochester, Leier loves catching perch he can fry and eat. At home in Saskatchewan, he invites his friends, packs a lunch and takes his boat out looking for pike, trout and walleye. “I love … having my phone off and just doing me,” he said. Leier developed his love of fishing growing up. After school ended, his family would leave Saskatoon and spend the summer about two hours north at a cabin on Emma Lake. He and his father, Tim, would go out every morning. Meanwhile, his mother, Cindy, and brother, Keaton, would stay back. Leier would eventually grow more interested in fishing than his father. Leier and his family still spend summers on Emma Lake. He bought his own boat when he was 18 and started earning his own money. Two summers ago, he sold it and purchased a 2017 Pro Angler Smoker Craft, the boat he always wanted. Leier has contributed a ton to the Amerks, compiling six goals and nine points in the last eight games. After spending all of last season with the Flyers, Leier took a positive approach to returning to the American Hockey League. The experience, he believes, has been valuable for his confidence. The last two months, of course, have been a whirlwind for the former fourth-round pick. He left the organization he grew up in and the AHL team, the Lehigh Valley Phantoms, where he played 226 games over four seasons. Given his age, versatility and production, Leier could earn a recall to the Sabres someday, perhaps as a third- or fourth-liner. Overall this season, he has scored 19 goals, one off his career high. Leier has been playing center regularly instead of left wing for the first time in his life. Taylor watched video of him taking faceoffs with Lehigh Valley and became intrigued. But Leier was only in the circle because his regular center had a sore wrist. Leier said it took him a little time to find a rhythm in the middle.